Dogs, horses, bees and a high-octane mountain-bike ride – there was plenty in store for Robson Green in tonight's fourth episode of Further Tales from Northumberland. The Hexham-born actor took a tour along the border with Scotland during this evening's show, which started at 8pm on ITV and has just finished. He had some memorable experiences along the way. His first stop was at the 449ft-long Union Chain Bridge, which spans the River Tweed between England and Scotland. When it opened in 1820 it was the longest wrought iron suspension bridge in the world. Robson said: "It is an amazing feat of engineering, but perhaps more importantly, it is a symbol between two nations – at one end, you have England and at the other, you have Scotland. If you look closely at the parapets, you will see roses intertwined with thistles with the inscription 'united strength is stronger'." His next port of call was the nearby Chain Bridge Honey Farm, which is a flourishing family business. It was started by beekeeping advisor William Selby Robson in 1948, and in 1962, his son, also William but known as Willie, took up beekeeping. As a nervous Robson put on his beekeeping gear, he said: "Bees sense fear, and at the moment, I'm reeking of it." After the buzz of visiting the hives and helping to make some honey at the farm, Robson headed to the Rede Valley to meet champion border terrier breeder Lesley Gosling and pooch Buster. Robson explained: "The Rede Valley is a wild and unforgiving landscape, which in the 18th century spawned a breed of dog that was tough, loyal and hard-working and became renowned the world over as the border terrier. The border terrier was bred as a working animal, but like many dogs, they have moved and adapted with the times. They still have that hunting instinct, but they are also very loyal, full of character and incredibly loving." Lesley introduced Robson to some 10-week-old pups, to which Robson said: "I can just hear the entire nation of Great Britain going 'ahhh'." He also watched some terrier racing, which he said he loves and added that it is very popular in Northumberland. 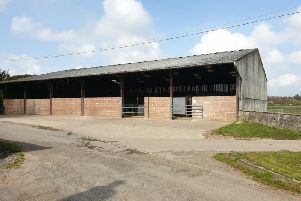 From terrier racing to horse racing, Robson visited trainer Susan Corbett at Otterburn’s Girsonfield Stud Farm, which boasts three champion stallions. The pair then headed to Hexham Races to see her 21-year-old son Jamie in action. Robson said: "I love the races. It’s not just a day out, it puts us in contact with something majestic, powerful and incredibly dramatic." Jockey Jamie, who said the sport can be dangerous, previously broke his collar bone after a fall at Musselburgh. Susan said: "The day he plummeted into the ground and completely bust his collarbone, I had to look after the runner in the next race and you go – am I a mother or am I a trainer? But it is not the most pleasant feeling seeing your son ricocheted off a horse." Robson's last adventure in the fourth episode was a thrilling mountain-bike ride down Deadwater Fell at Kielder, which has some of the best singletrack trails in the UK with breathtaking views. He cycled with enthusiast Tommy Wilkinson, who paralysed his right arm and surrounding shoulder after a biking accident. He now competes in the sport with his arm in an exoskeleton. Robson manages to come away from the high-octane experience pretty much unscathed, but after completing the trail, he said: "Well, I didn't fall off once...I fell off six times!" But he added: "Kielder Forest is a man-made natural wonder and if you want to mountain bike anywhere in Britain, Kielder Forest is the place to do it."